In this research, we propose and analyse a two-dimensional photonic crystal having L-shaped bend waveguide to realise a negligible bending loss, nonlinearity and confinement loss at the signal of 1.31 μm and 1.55 μm. The proposed waveguide comprises 9 × 9 circular dielectric rods of silicon with air as background material. 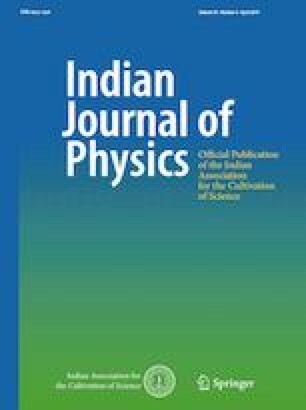 Further, finite-difference time-domain method is employed for analysing electric field distribution in order to realise effective area as well as high transmission characteristics of the proposed waveguide. Moreover, numerical formulations are used for simulation of bending loss, nonlinearity and confinement loss in the waveguide with suitable structure parameters (diameter of circular rods, nature of the material, lattice spacing). Again, simulation results revealed that ultra-low bending loss of 0.72 × 10−7 dB/m and 0.93 × 10−7 dB/m is experienced by the waveguide at wavelengths 1.31 μm and 1.55 μm, respectively, for 10 nm diameter of the circular rod, whereas a feeble nonlinearity of 0.085 W−1 km−1 and 0.072 W−1 km−1 is also asserted in the same. Furthermore, simulation outcomes proclaimed a negligible confinement loss of 5.7 × 10−11 and 4.8 × 10−11 for the said wavelengths. Finally, this article discloses that the projected silicon-based photonic crystal waveguide appears to be an apt candidate as optical interconnects for application in photonic integrated circuits.